Looking for Dubai’s most ‘shelltastic’ foodie experiences? From New Orleans-inspired seafood boils to Valencian Paella nights, it’s time to try something new with these unique seafood experiences in Dubai! 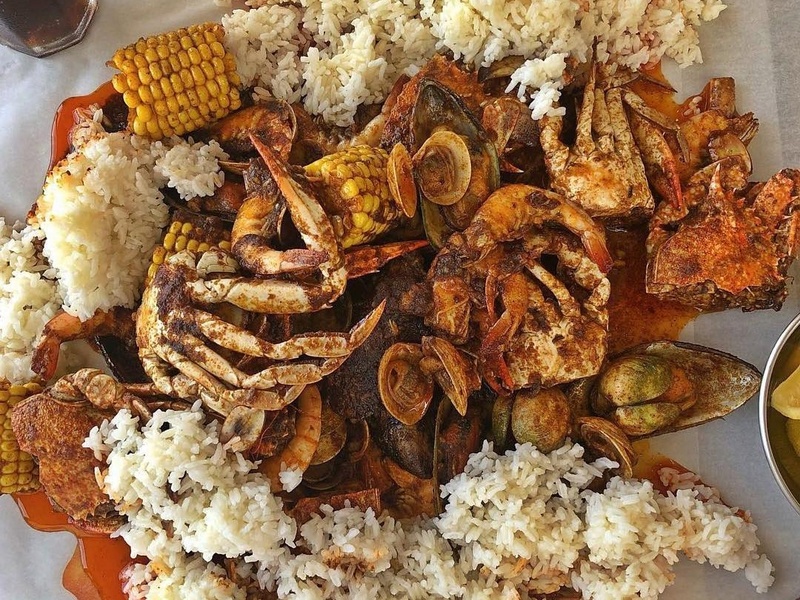 If there’s one hidden gem in Dubai that everyone needs to know about, it’s Crab Shed. Located inside the popular breakfast spot Happy Egg, you’ll find Crab Shed cooking up a Cajun-flavoured storm every day from 1.30pm to 11pm. 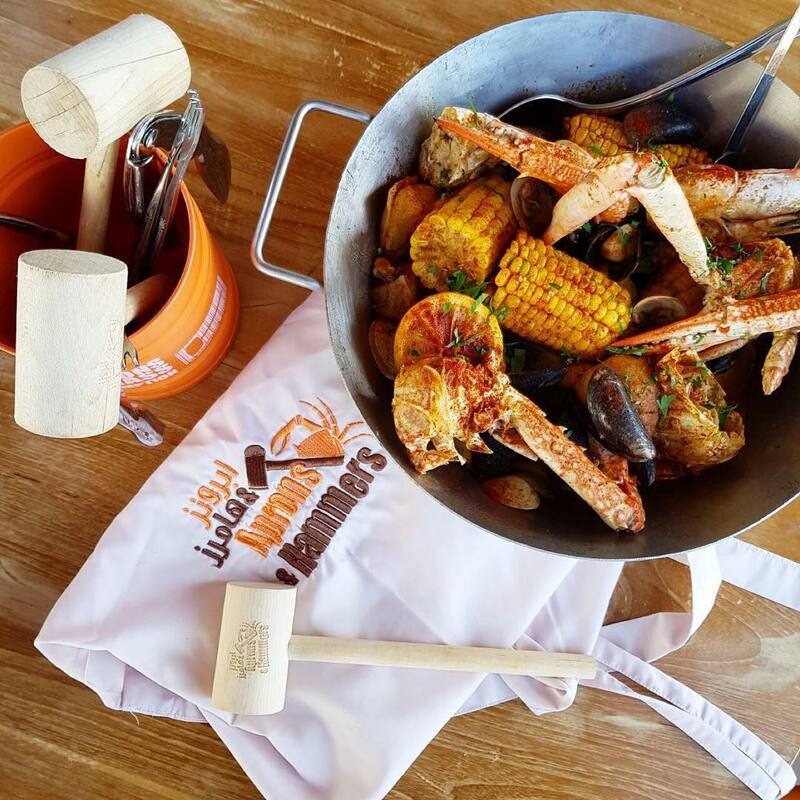 It’s a south Louisiana/New Orleans inspired seafood boil concept that’s all about getting hands on! Every Saturday from 7pm to 11pm, head down to The Fish House in Dubai Festival City for a unique Paella-filled experience. 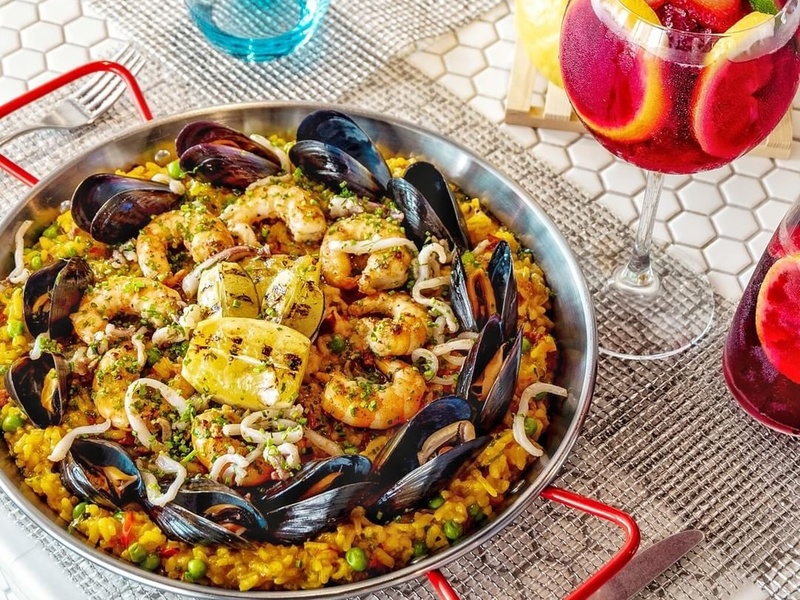 Tuck into traditional Valencian seafood Paella, paired with Sangria and homemade apple pie. Aprons on and hammers at the ready… it’s time to smash your way to seafood heaven! 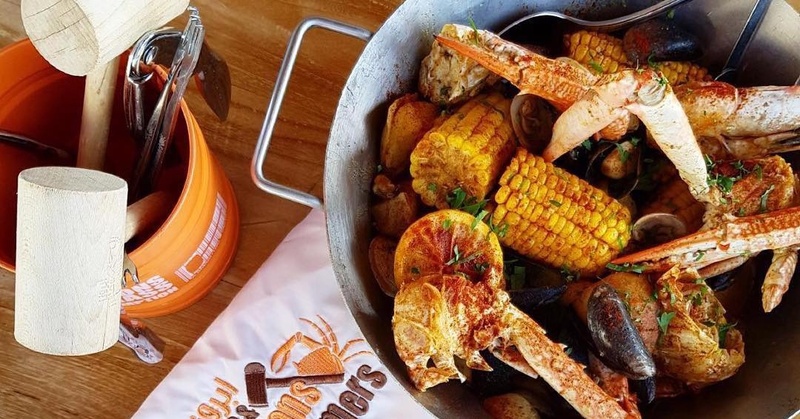 Aprons & Hammers is an award-winning seafood restaurant in Dubai, serving up everything from seafood Paella and grilled oysters to shrimp buckets and so much more. 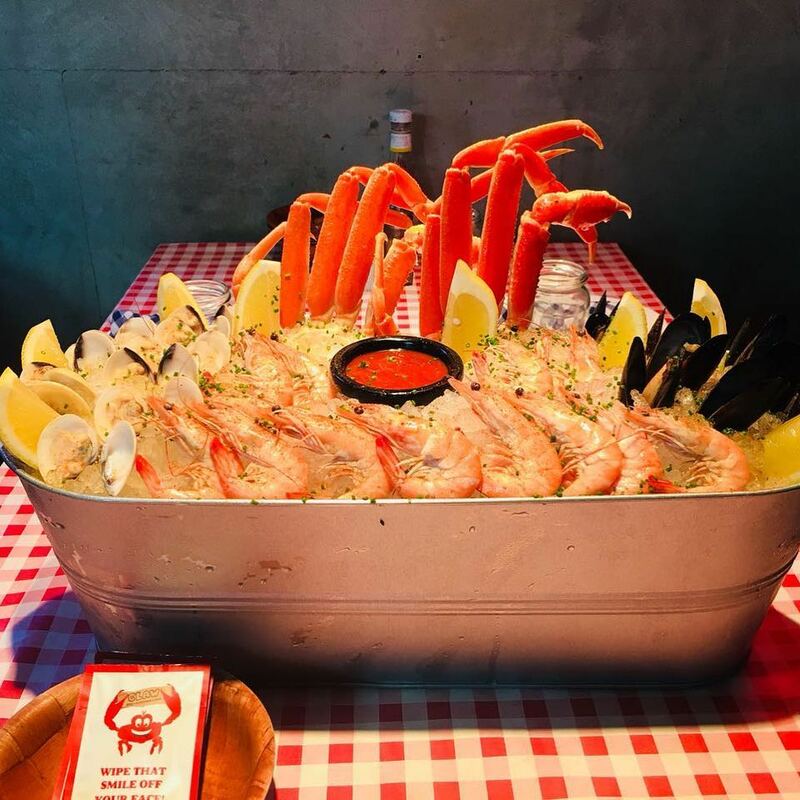 If you’re looking for top-quality seafood, lively vibes and Insta-worthy cocktails, Claw BBQ Crabshack & Grill is the place to go. You’ll find everything from steamed black pepper clams to cold seafood platters packed with shrimps, oysters, clams, mussels and more. 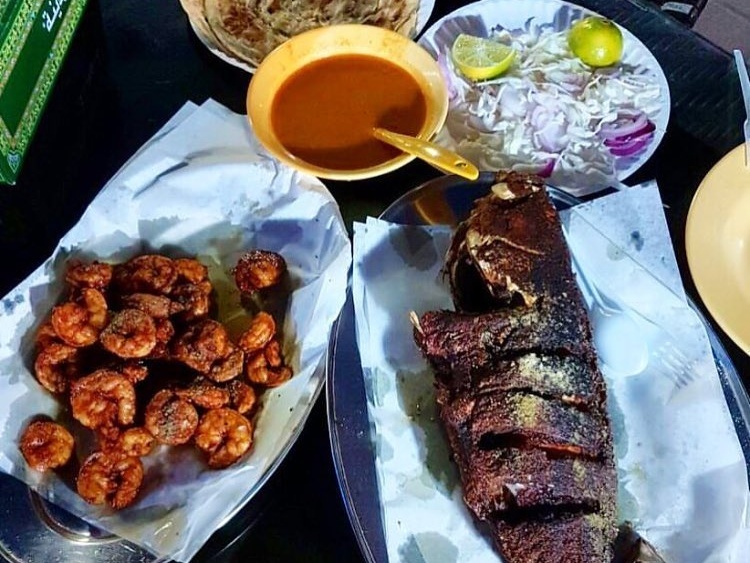 A no-frills dining spot that has some of the best seafood in town, Bu Qtair is guaranteed to hit the spot. Super casual and laid-back in all the right ways, you’ll find this place jam-packed with seafood lovers waiting for their fresh catch of the day. Love seafood? You’ll want to check out our favourite Dubai spots for sushi doughnuts and ceviche!